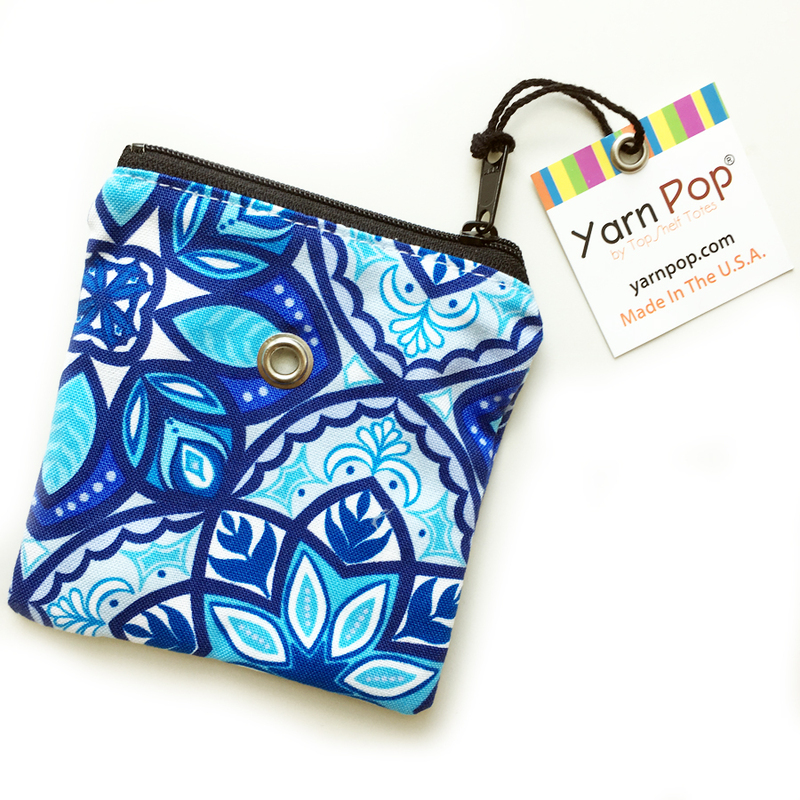 Made in the USA project bags that feature an eyelet to guide your yarn and a high quality zipper to keep your project safe and sound. Available in two sizes: The Solo (8x8") and the Mini (4x4"). 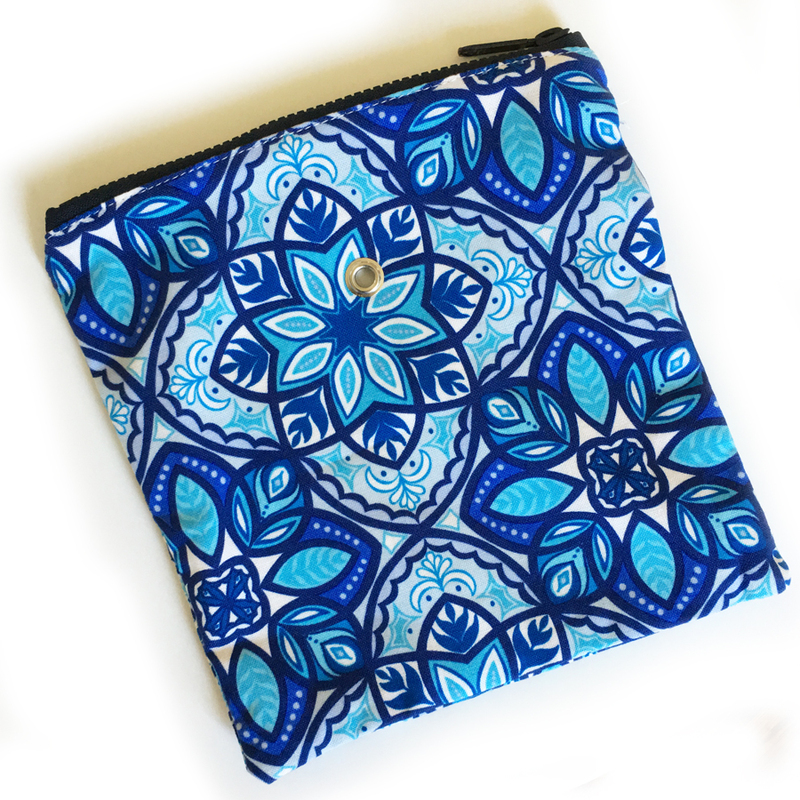 Available in an exclusive blue, modern floral print.